When it comes to social media, sometimes I get overwhelmed. Honestly, it’s a lot to handle! There’s a ton of work, a barrage of discourse hitting you from all sides, and the occasional tide of negativity that knocks you down. It’s perfectly valid to be bummed out or overwhelmed by your social presence, even if you’re not someone who uses social media for business purposes. I got interested in this topic after a conversation in the Savvy Social Crew Facebook group. I asked the community how they felt when they hear the word “social media.” The results varied wildly, which was interesting. Some people associated it with positive things like networking, community, voice, and amplification. But some people associated it with toxic, fake, or combative exchanges that left them tired and disillusioned. That kind of negativity happens all the time on social media, and your task is to combat those overwhelming feelings of negativity while still using social media as a tool. I’ve worked in social media for a long time, and I believe in its power to connect the world and make business marketing easier and cheaper than ever. But the trick is creating a social media practice that uplifts, rather than drains you. With that in mind, here are my top tips for beating the social media blues! Right off the bat, I suggest you give yourself some breathing room. Even if your break is only for a weekend (or even a day! ), taking some time off can keep your thoughts clear and your focus on reality. So, here you go: I’m giving you a permission slip to log off, because you know that the minute you get back, it’ll all still be here. For some inspiration, I recently interviewed Brit Kolo from Marketing Personalities all about her social media break… she took a month off! If she can take a month off, you can absolutely give yourself a break. This might sound bonkers, but I made it my new year’s resolution to turn off my notifications in 2017, and I haven’t looked back. I don’t get Instagram, Facebook, Pinterest, or any other notifications from social media, and I honestly don’t need them. They steal my focus from things that I’m working on, and it’s not like those notifications are going anywhere. Trust that your notifications will still be there when you log deliberately onto your social accounts, and that you don’t need to drop everything to check your phone. The big advantage of turning off notifications is that you get deliberate with your social media time use. I set a daily item on my to-do list to check my social media, and that’s the only time I log onto those platforms. It helps me to be really present with my social media efforts, because rather than half-checking my accounts constantly, I log in at set times and give it my full intention. Social media become less stressful and more fun. Plus, I have far more focus on the stuff that does matter to me when I’m not constantly checking my phone. Every time I create content, I sit down and make it, then schedule it a week at a time. This is called batching content, and it makes it easy to be intentional about what content I’m producing. Typically, I sit down one day a week for an hour or two and blast out my content for the week. Then I’m done! Pro-tip: If it takes more than an hour to schedule your posts for the next week, then cut down on your content, because you’re stretching yourself too thin. Having good content is important, but remember not to burn yourself out. Overperforming can be as damaging as underperforming, and constantly stressing yourself out about content publication can really contribute to social media overwhelm, and there’s a lot of other things you need to devote your attention to. It’s helpful to schedule your posts ahead of time to remove the task of remembering to post them on time. Pretty much all marketers use some kind of scheduling tool, and it definitely makes it easier to get your content sorted out for the week. You can tack scheduling onto your task list right after your hour of content production to get the whole process done in one sitting. I use personally love Social Report for my scheduling purposes! Your social media feed is entirely composed of individual content creators, so if your network is full of negative, toxic individuals, then your feed will be too. I really recommend unfollowing and muting social media accounts whose content makes your online experience worse, because life is too short to have that kind of negativity in your life. Unfollow and mute like the wind. You’re the one who controls what enters your social media bubble, so don’t be afraid to take out the trash. And don’t feel bad! They probably won’t even notice. Making these changes requires some adjusting. The first month I turned off my notifications, I still checked my phone about a million times a day. I was afraid I would miss things, and I did! But (spoiler alert) it didn’t matter. If you don’t reply to a message or an email for a few hours (or even a few days!) no one will die. The things that need your engagement on social media will wait for you to log back on. On your own terms. With focus and concentration. But I promise that if you can switch your focus from a constant scramble to “keep up” with your feed and reply to messages with lightning fast speed, you’ll continue to feel overwhelmed and burned out on social media. Switching to a deliberate approach with your presence is so much better in the long-term. Schedule your content. Get it done and don’t overthink it. Don’t allow negativity in your life. 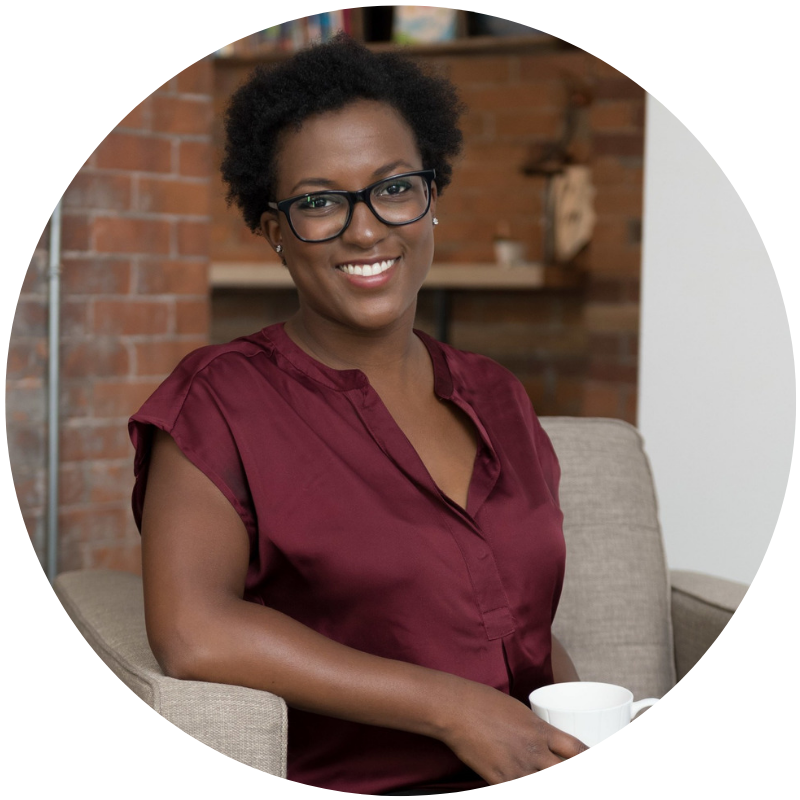 Andréa Jones is a social media strategist who works with small businesses, startups, and podcasts to build their online presence through targeted social media and content marketing solutions. She’s the host of the Savvy Social Podcast, a show for budding entrepreneurs who want to understand the how and why of social media marketing. She’s also the founder of SavvySocialSchool.com – a membership community that has everything you need to achieve visibility, growth, and engagement on social media.